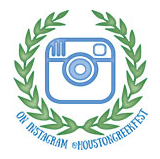 Fun for the Whole Family at the Houston Greek Fest! ST. BASIL BOOKSTORE AND GIFT SHOP: Please be sure to stop by the bookstore located by the Church to pick up great books about our Orthodox Faith. What is Orthodoxy all about? SHOPPING: Enjoy the many wonderful and variety of items our vendors have in the Santorini Walk shopping area. CHURCH TOURS: St. Basil the Great Greek Orthodox Church was voted one of eight most beautiful churches in Houston by the Houston Press in 2011. 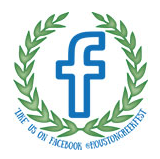 Father Luke Palumbis will be conducting free church tours throughout the Houston Greek Fest. Times will be posted outside the church and in the Visitor Guide Book. DANCERS: TEAM OPA! Is our youngest group with dancers beginning at age 4. Each group gets older in age Levendakia, Palamakia, The Kefi Dancers, and ending with our oldest high school group Dancing Papoutsia. All of the youth exhibit their friendship and enthusiasm during their lively performances. In addition, we present our adult group, St. Basil’s Athenians. This is a group of parishioners excited to share their love of dance with our visitors. Please give all our dancers much encouragement for their hard work and dedication to their dances and to our Houston Greek Fest! Opa!!! ZEIBEKIKO DANCE CONTEST: The Zeibekiko Dance Contest is for NON Greeks only and is tons of fun to watch and tons of fun to be in! It will be held Saturday evening with a winning prize of $100 cash. Join us and be sure to cheer Greek style for your favorite contestant. Crowd participation determines the winner! TRADITIONAL GREEK DANCE COSTUMES: These dances are demonstrated in traditional attires that are reminiscent of various parts of Greece in old eras. For example the attires that have their origin in the Greek islands are characterized by some type of plush pants, the "vraka" because these people were riders of the sea. The attires that had origin in the mainland often were characterized by a special white pleated skirt, known as the "foustanella", legs covered by tights, and the shoes with the fuzz ball on the tow tip, known as the "tsarouhia". The purpose of the foustanella was to leave the legs completely free to run like the wind and hike on the rocky mountain grounds. This attire is characteristic of the 1800's when these people lived in the mountains constantly on the run and fighting for freedom. The most elaborate however are the women's attires whose colors, style, and detail present a great variety particularly among the various islands of origin.